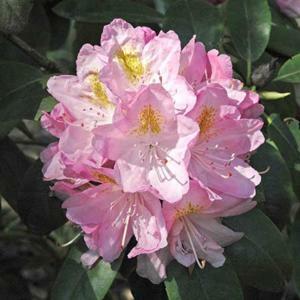 Rounded trusses of open funnel-shaped mauve-pink flowers, paler at the centres and with yellowish spots. Late May flowering. Dense dark green foliage. Raised by Dr David G.Leach, USA.